Gladiators of the Arena is an upcoming rpg hack 'n' slash game developed by Creative Oven Studios using Unreal Development Kit. You play as a slave gladiator fighting for survival in Arenas across the territory of Roman Empire to win your freedom. The game focuses on Slave mode and Citzien mode: In slave mode you fight to survive and get your freedom. After that Citzien mode becomes open and you become professional gladiator. It allows you to buy a house in a city or go hunting to the forest. In custom fight you fight in chosen game mode such as : Team deathmatch, Survival or Free for all and others. Gladiators of the arena new version released 0.85 now the game has the name GOTA surviva, and its supporting multiplayer. 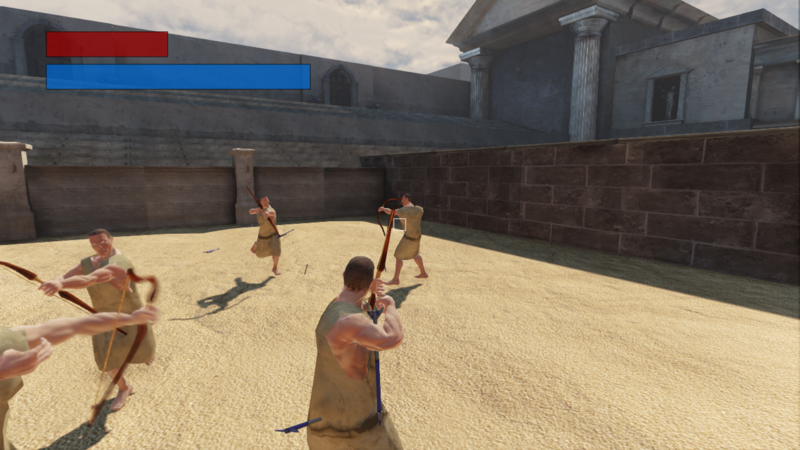 Gladiators of the arena has resurrected with a new shape, more solid funnier and with much more content to play, we have here for example a video of the game being tested in multiplayer. Me and arendt testing. We also set the game for sale in ith.io for just 5 dollars, we hope we get some customers soon. Buy now!